Swanson Flo Industrial Control and Valve Automation Blog: Rupture Discs Are Designed to Fail. That's Their Job. Rupture Discs Are Designed to Fail. That's Their Job. A rupture disc (pressure safety disc, burst disc, bursting disc) is a “one and done” pressure relief device most often used to protect a vessel, pipe, or container from over pressurization. 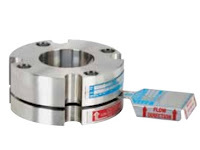 As opposed to pressure relief valves, rupture discs are designed to function only one time by providing an instantaneous response to an over-pressure condition. Rupture discs prove most effective when they fail according to pre-established specifications. Inferior rupture discs often cause unnecessary and expensive production shutdowns due to the lack of quality testing and expertise in manufacturing. For more on rupture disc's call Swanson Flo at 800-288-7926 or visit http://www.swansonflo.com.